Does the terroir of the Beamsville Bench sub appellation in the Niagara region, make it the best wine growing region in Ontario? 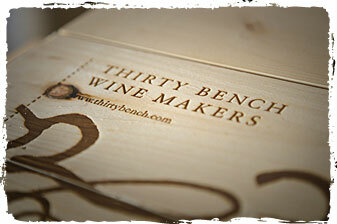 Thirty Bench would argue that is does and their wines speak for themselves. Any oenophile that is visiting the region should make the detour to 4281 Mountainview Road to pick up either their Riesling or Reds – from Cabernet Franc, Merlot, and Cabernet Sauvignon— that are always made in small lots. This isn’t large scale winemaking so while it is a small lot producer, the wines come with a big ticket price and, given time to mature, bigger taste. This Wine Wednesday pick from Sukasa Style focuses on the 2007 Cabernet Franc which we were fortunate enough to drink in the company of friends. As we have stressed, time and again, tasting wine should not be a scientific exercise controlled in the antiseptic environs of a laboratory, it should be the embodiment of la dolce vita and epicurean – in the company of great food, great conversation, and a relaxed atmosphere. This full-bodied Cabernet Franc and its well structured, rich mouth feel and silky tannins are true expressions of our Beamsville Bench vineyard. An enticing bouquet of plum, red and black fruit and tobacco with flavours of blueberry, sweet spice & cocoa linger on the finish. This wine is sure to age gracefully to 2015. If enjoying before 2011, one to two hours of decanting will assist in developing the full potential of this wine. The decanting was performed in advance of the meal, the pairing were grilled barbequed meats ranging from prime steak cuts to juicy kabobs. Cabernet franc can often be a one dimensional varietal, in our estimation this was not: it had the right balance; the right nose mixing fruit, spice and flowers; and the right palate that was ripe without being saccharin; yes there was oak, and a bit of heat (13% alcohol) but the tannins were complementary rather than overwhelming thanks to the decanting. Everyone’s palate is different but the guests on hand rated this Beamsville Bench entry a winner.